The yarn cake: product of the ball winder I finally decided to buy. Its amazing. Why didn't I get one before? Not only has there been ball winding, but there has been knitting. This is partly because I realised how close Christmas is, and partly because I took a few days off cycling to work*, thus opening up bus-journey time for the knit. 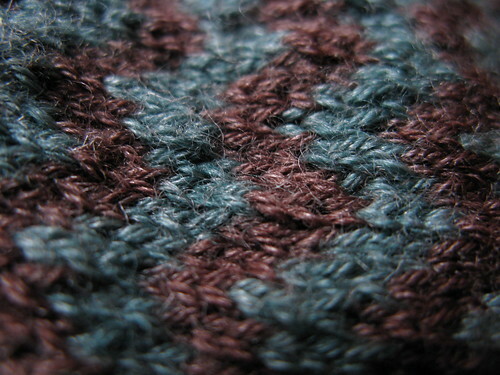 The links below are to ravelry. * The pause in cycling due to being HIT BY A CAR last week. Driver decided to illegally turn left and not look before he did it. Clever. I was very lucky, a few bruises, and the bike seems equally unscathed. I got straight back on the saddle, and have cycled into town several days since then, but I was a bit shaken up and stiff to manage every day. Looks pretty, yes? 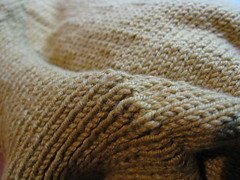 Its Ziggy, from last summer's Knitty, done in two shades of Trekking Pro Natura. Ravelled here. Lovely to look at, maybe. I was planning to give them to flatmate-Kirsty for Christmas, along with a box of her favourite chocolate-mints, seeing as the colours matched so well. But sadly they fail as socks. Put simply, they are too tight. And fail-socks are never a good present, so I told Kirsty she can have them now if she can get them to fit, and I do her a better present for Christmas. Those with bright screens can follow her struggling to get them on and off the other night. Yes, I did keep the floats loose. 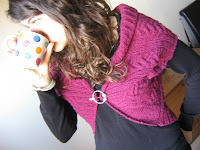 I even knitted them in a much looser gauge than the pattern suggests. Yes, we've tried blocking. They are just too narrow. 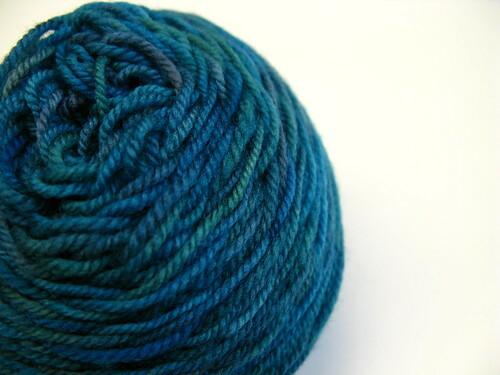 Plus, the bamboo in trekking means it isn't quite as elastic as a 100% wool sockyarn. Grrr. Once you get them on they are ok. 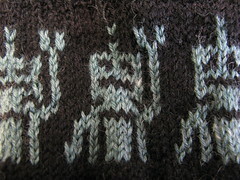 In fact Kirsty says that the support of all that tight fair-isle is really nice (once you have them on, and are happy to keep them on, perhaps forever). 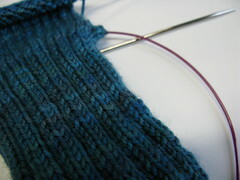 We thought we might steek the inside cuffs and add a couple of rows of stocking stitch - to give a two-way stretch. Do you think it'll work? Either that, or we need to find someone with super-narrow, super-long feet.